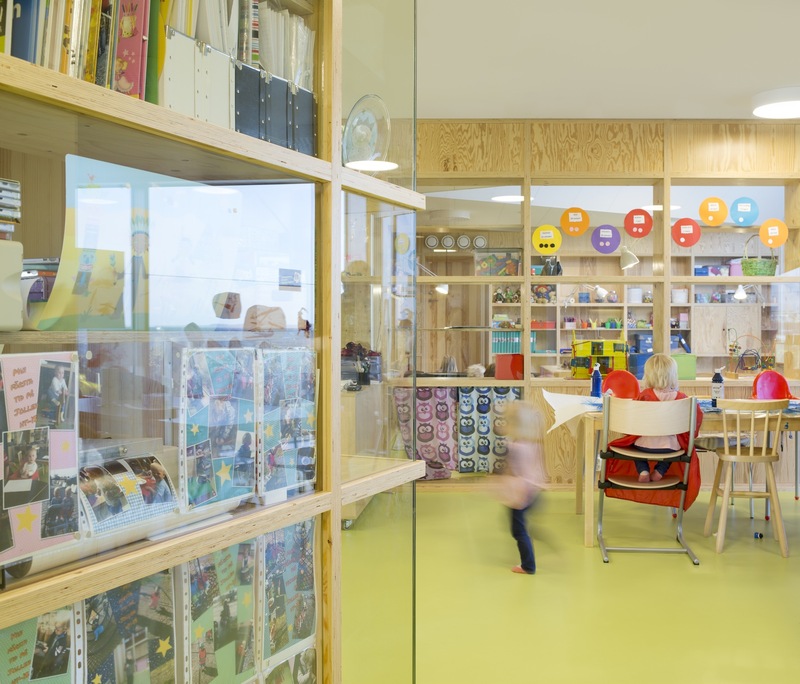 We continue to discover amazing schools and nurseries across the world and today we are featuring this amazing school in Sweden. 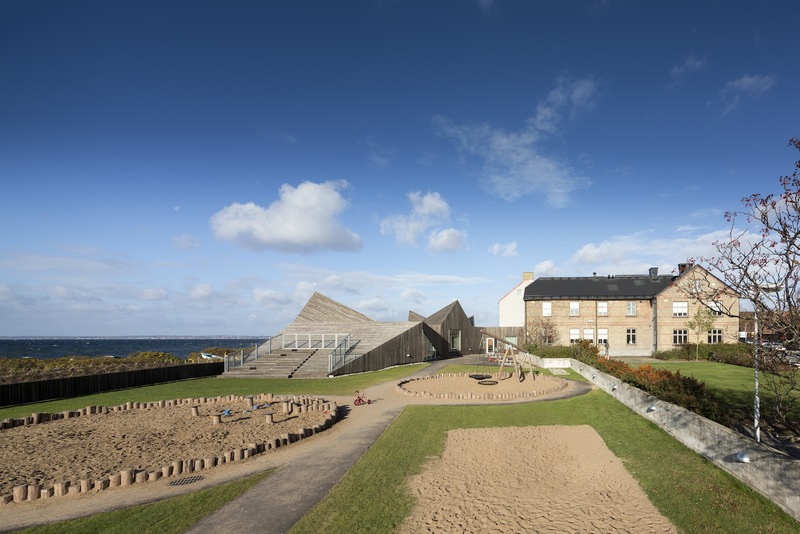 Situated on the scenic beach between the old Råå School and the Sea/Øresund the children’s day care centre embedded in the dune forms a conspicuously inconspicuous silhouette against the green and sand-coloured setting of the small Swedish fishing village. Yet despite matching the surroundings in shape and colour, the building- designed by Dorte Mandrup Arkitekter is an unusual eye-catcher. The design of the building is based on the surrounding landscape, with its flat, slightly sloping dunes and the distinctive typology of the small fishermen’s houses that originally stood on the dune-covered coastal strip. The day care centre comprises 4 re-interpretations of these huts, set in a staggered arrangement and held together by a roof structure that reaches beyond their confines. 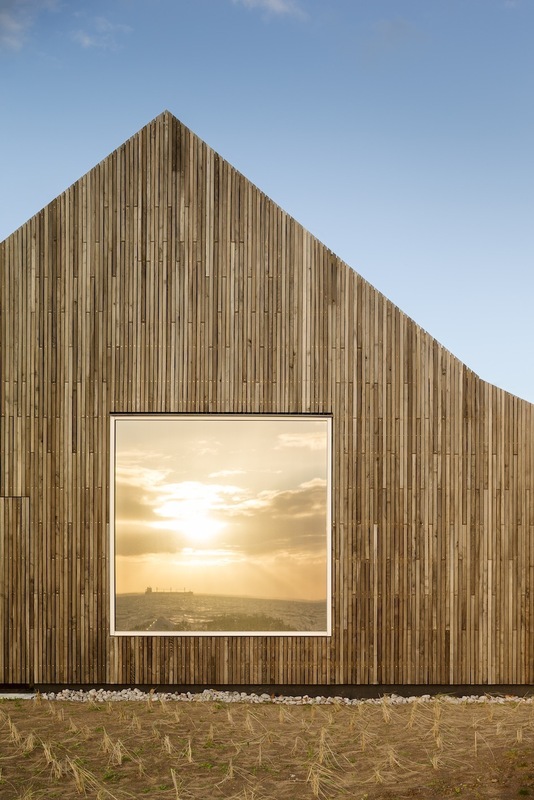 Clad in the same wooden slats as the outer walls, this upper covering seems to continue the surrounding landscape onto the building, thus bringing about a visual interplay of architecture and nature. Acting as group rooms, the four above-mentioned “huts” form the core of the day care centre, and as such are connected by spacious multi-functional areas spanned by the sharply contoured roof. The facility is also directly linked to the adjacent primary school of Råå. The large windows in the facade and roof create a close contact with the sea and the surrounding landscape, and provide ideal daylight conditions all year round. The entire exterior is covered with long strips of multi-tonal Robinia wood, creating a weathered appearance. Shallow steps run up the sides of the gently ramped room, while triangular shards of glazing create windows that follow the angles of the walls and roof. All photo credits by Adam Moerk.